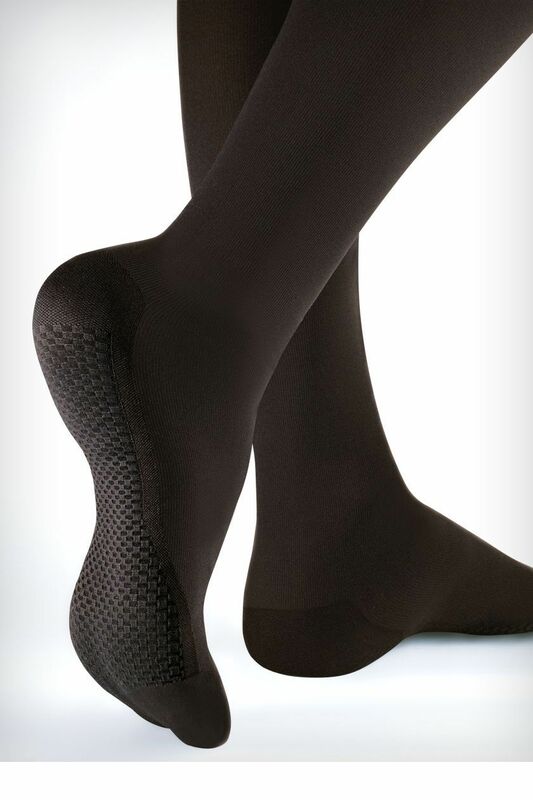 Get healthier legs with knee-high compression socks for men and women. 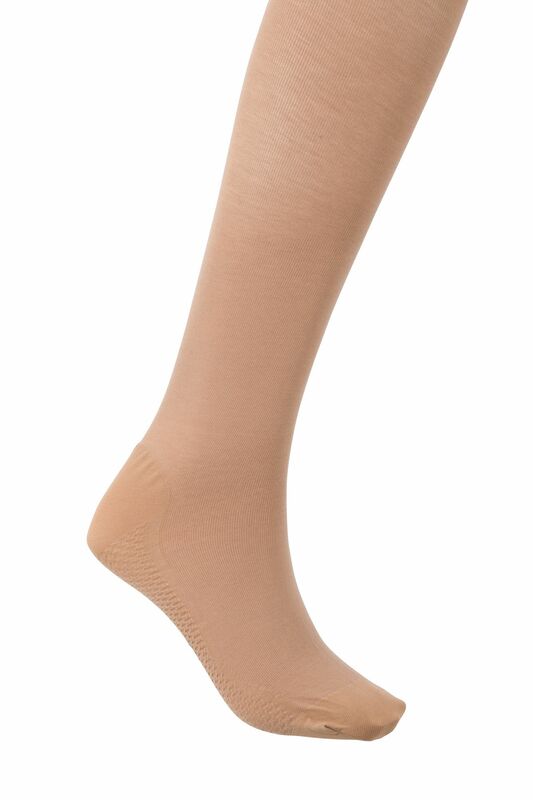 If your feet and legs take a pounding during the day, help them out with these relaxing knee high compression socks. The moderate graduated compression of 18-23mmHg improves your circulation to keep your legs and feet happy, healthy and energised - especially when travelling. They also help with tired, achy legs, varicose veins, spider veins, leg swelling, poor leg blood circulation, swollen ankles during pregnancy. The opaque rib knit feels wonderfully soft, whilst the comfort knit band keeps them up without any trouble. An anti-stress sole cushions your feet for extra all-day comfort. 45% Cotton, 30% Polyamide, 25% Elastane. Wash below 40C, Do not bleach, Do not tumble dry, Do not iron, Do not dry clean. We normally advise you to purchase 2 pairs of compression hosiery, one to wear, one to wash. 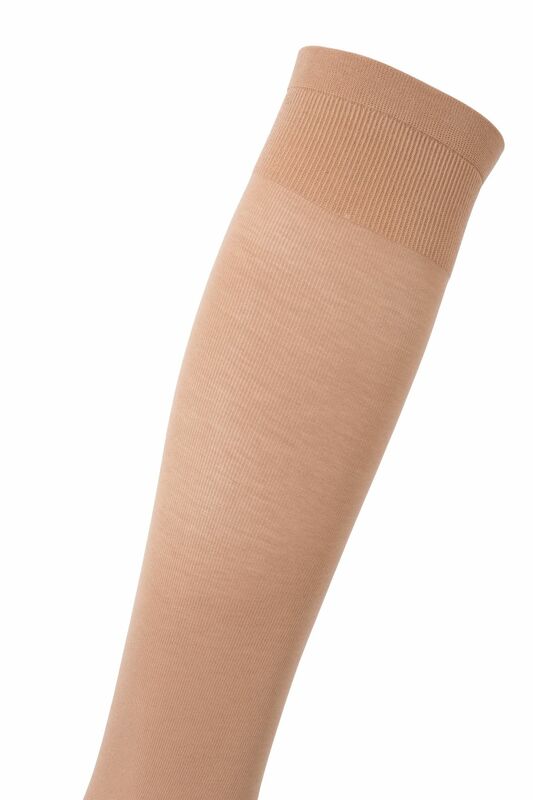 Compression hosiery is recommended for 100 washes, or approximately 3 months' wear. If you have your hosiery prescribed, you normally have 2 pairs every 6 months.